Everyone has an accent. 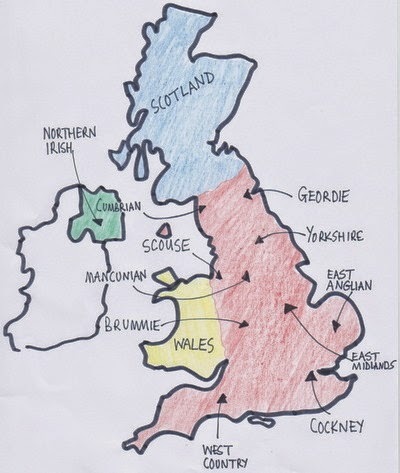 The area we come from will have its own way of pronouncing vowels and consonants as well as pacing the syllables of a word. 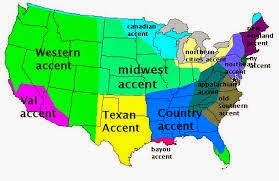 As an immigrant, your accent identifies you as coming from a different country. On the positive side your accent can be perceived as exotic or romantic. This can be isolating, as you are reminded you don't belong as much as the person you are talking to. You may have to repeat yourself often. 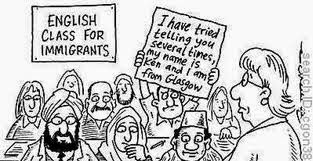 You may be perceived as a new immigrant even though you have been in your adopted country for many years. You may be subjected to assumptions about your homeland. "America is my home, you shouldn't have an accent." 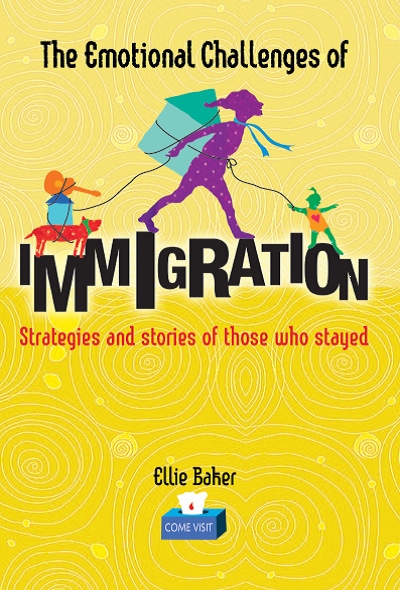 Although the language was the same, another immigrant found that, "My parents say they don’t understand the children." This can be upsetting for the immigrant as this creates a feeling of disconnection from your homeland and loved ones. • Suggest that not all people from your homeland are the same. Ignore those who want to pigeonhole you. • Be patient and repeat yourself calmly. • Seek out those who will listen to your point of view and who do not stereotype. • Don’t worry if your accent stands out, unless it really troubles you. If it does, you can adjust your accent. • When confronted with someone who wants to remind you that you are different, it may be because they have reasons to increase their own sense of ownership or belonging by excluding you. Bear in mind their point of view and don't take the exclusion personally. • Laugh at the mistakes you make and learn from them. Be ready with a few good replies to stereotyping, or brush the comments off. 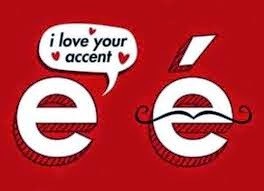 If you want to adjust your accent there are ways and means online. A short You Tube clip from Andrea Caban gives good starting points. Consider carefully your motives for eliminating your accent; after all, it is part of your heritage. 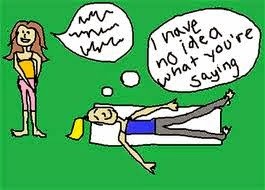 It may be better to do training to make sure you are understood easily. If you search online for Accent Training or Accent Reduction you will find many resources to help you. THESE MEN HAD VERY HEAVY ACCENTS SO I COULD BARELY UNDERSTAND THEM. 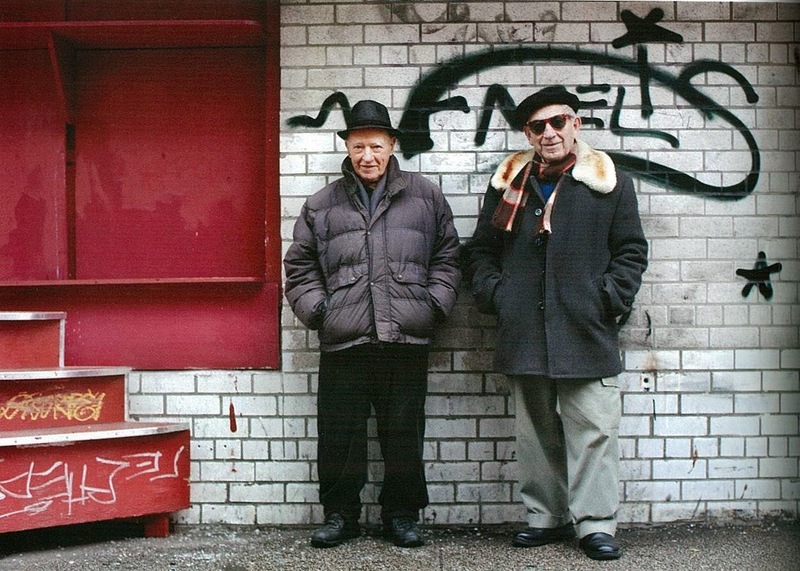 I TRIED MY BEST TO FOLLOW ALONG AS THE MAN ON THE RIGHT TOLD ME HIS LIFE STORY. AFTER ASKING HIM TO REPEAT SEVERAL SENTENCES, I FINALLY CONCLUDED THAT HE'D GROWN UP IN PORTUGAL AND IMMIGRATED TO AMERICA AS A YOUNG MAN. 'WHAT YEAR DID YOU COME TO AMERICA?' I ASKED. 'HE WAS BORN IN RHODE ISLAND,' SAID THE MAN ON THE LEFT.